Yay! 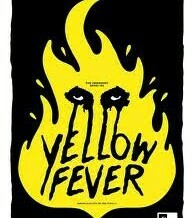 Yellow Fever Issues! Gone! Gone! Gone! Yellow fever vaccinations are no longer required for travel between Zambia and South Africa, the South African Department of Health has announced. The requirement was lifted on Saturday with immediate effect. The decision was made at the World Health Assembly on Friday in Geneva. The requirement was bemoaned by the tourism industry, which suggested that it was putting travellers off the destination, especially because they could visit the Victoria Falls in Zimbabwe without having a vaccination. “The South African grape growing region is The Western Cape, including the first Dutch colony, and later the first British colony, that would become the city of Cape Town. Special to the Cape Peninsula is the intersection of weather systems from the Atlantic Ocean and Indian Ocean currents with a more than generous contribution from the Antarctic that acts to drastically temper humidity. All this, in addition to some very extraneous mountains, valleys and flat lands, amounts to hot, dry, sunlight heavy summer seasons lasting from November to April, similar to the Mediterranean. However, certain appellations – ‘wards’ as they are locally termed – experience sizable milder and wetter year round conditions, especially those closest to the coast. This unique terroir has created many sundry micro-climates, and thus, many diverse cultivars. One part climate, another part topography and a third part colonization, to this day the Western Cape is where the vast majority of South Africa’s viticultural activity transpires. The Dutch East India Company was the first to instigate this development, importing grapevines and harvesting the fruit for sailors to fend off scurvy during the passage from Europe to India and Southeast Asia. As you know, wherever there are fecund grapevines, there will soon be winemaking. Indeed, by 1659, a vineyard was established at Constantia just north of Cape Town. Once the colony was folded into the British Empire, production sharply increased throughout the 19th century as a means to countervail the dominant French on the international market. With the bulk of South African wines exported to Great Britain, the nation’s industry declined towards the end of the century following the dissolution of the preferential tariffs that precluded French vintages. For most of the 20th century, vintners suffered tremendously under Apartheid as worldwide boycotts thwarted overseas commerce and knowledge exchange. But with the collapse of this racial segregation system in 1994, South Africa’s wine making quickly rebounded and is now the eighth largest worldwide producer and exporter. Adhering to the purview of the internal Wine of Origin administration, there are now roughly 60 active wards with most of the harvest controlled by several large cooperatives. Alongside this resurgence has come a renewed focus on international prospects as many vineyards shift towards the noble varietals of Cabernet Sauvignon, Chardonnay, Merlot, Pinot Noir, Sauvignon Blanc and Shiraz. However, the reopening of trade routes has also allowed for a revival of South Africa’s own cultivars and styles. Most pronounced are the fortified wines designed under the ‘Cape Port’ marker. Heavily influenced by Portuguese seafarers migrating through the Cape Colony, these spirits cover a wide range of varietals, both white and red, as well as wine making techniques, comprising a narrow assortment of strict vintage classifications. We were happy to welcome the much travelled Malcolm Lindsay (above) as our guest on the most recent edition of the Chanters Lodge Experience with the Milli Jam Ingredient featuring George da Soulchild Kaufela, our weekly Sunday night radio show, airing at 20.30 hrs CAT and offering an hour of good local and international music, as well as chat with our Guest. We also give listeners the chance to win dinner for two with drinks at the lodge, if someone can text us within a minute telling us who’s the artist on our ‘oldie of the week’. On this edition no-one won. “Oh well, there’s always next week!” I said. Malcolm told listeners that he was in Livingstone for a short holiday and that he was a South African, based south of Durban. As a project manager for oil pipe line installation, maintenance and repairs he travels a lot in his work and had recently returned from Queensland, Australia expecting to go back there again for another tour of duty soon. He estimated that he had lived, worked or visited more than 40 countries in his life time and told us that Italy was one of his favourites, he loved the landscape, food and the excitable but friendly people. He also talked well of his time in Indonesia where he preferred to work rather than in the Middle East. Malcolm told listeners that he had been married twice but was currently single. Whilst in Livingstone Malcolm had enjoyed a two day one night safari to Chobe NP in Botswana and had much enjoyed the wonderful array of bird life on the river banks and wildlife in the park. He intended to take a microlight flight over the Falls before he left early the following week and he said he had much enjoyed staying at Chanters Lodge. The music on the show was good. We opened with Katy B’s ‘Crying For No Reason’ back to back with the latest from Gorgon City featuring MNEK. George picked local tracks from F Jay featuring Urban Hype and Hamoba featuring Ty2. Milli Jam dropped tracks from Drake and Jennifer Lopez. My pick of the week was a new track from Toni Braxton and Babyface – ‘Roller Coaster’. We closed with Emily Sande’s ‘Untouchable’. Malcolm told listeners that his favourite type of music is country and his favourite star – Willie Nelson. His love of this genre stemmed from the time he lived in USA. Sports wise, being South African, it was no surprise to hear that his favourite sport is rugby, and coming from Durban his favourite team The Sharks, apart of course from the Springboks. As Malcolm is involved with gas pipelines we asked him about fracking – the process of obtaining natural gas from shale, and he told us that they had found gas in both Mozambique and Angola, so there was a strong possibility of it also being found in Zambia. Asked where he would like to be and what he would like to be doing 10 years from now, our affable and interesting guest said he would like to be retired, living in his house on the South African Wild Coast with a plentiful supply of fresh crayfish. His pimped 4×4 (either a Ford or Mazda) would be parked in the garage ready for him to take off to explore Africa any time he felt like it! We laughed and thanked him for guesting on our show! After a couple of weeks highlighting local talent we were back to Guests from Chanters Lodge appearing on our weekly radio programme last week, and we were delighted to host Wendy and David Duncan (above) from Winnipeg, Canada. Wendy and David are both recently retired, David from his job with the Canadian Federal Government as a marine biologist and Wendy as a resource teacher. This was their first major overseas trip since retirement which had already taken them to Tanzania, Zanzibar and Johannesburg. After a brief stop in Livingstone – time enough to do the sunset cruise on the Lady Livingstone which they had loved, and to see Victoria Falls which had amazed them, they would be off to South Luangwa NP in Eastern Zambia the day after the show, for about four days – then on to a week in Cape Town. Wow! We said. Had they done the bungee jump at the Falls, we wondered? “No” was the reply “but we heard the jumpers screaming when we were down at the Boiling Point”! Our weekly radio show, sponsored by Chanters Lodge, airs each Sunday evening on Zambezi 107.7 fm, Livingstone’s leading local radio station, from 20.30 – 21.30 hrs CAT and streams live on the internet too! One host is George Mukwita aka Soulchild aka Kaufela, one of Livingstone’s up and coming rap musicians, apart from being a full time presenter on 107.7 fm. Main host is Milimo Mudaala, aka Milli Jam, club DJ, radio presenter and entertainment manager – a public figure in Livingstone. We give away a dinner for two at the lodge on each show – to the first listener to text us telling us who’s singing our oldie of the week. On this show the artist was the late Paul Ngozi, famous Zambian musician. The prize was quickly won. The music on the show was ‘latest’ and good. We opened with John Newman’s UK number one ‘Love Me Again’ back to back with 14 year old Gabz’z smash ‘Lighters (The One)’. George chose Zambian tracks from Karasa and Flex Ville Marley, while Milimo preferred Michael Jackson and Daft Punk for his selections. My pick of the week was ‘It’s You’ by Duck Sauce – different anyway. We closed with Russ Chimes and ‘Turn Me Out’. Wendy and David told listeners that they’d been married for 39 years and had two daughters, Jocelyn 29 and Rachel 23. Jocelyn is a chemistry teacher while Rachel is still studying. Wendy told listeners how much she admired Zambia’s efforts to preserve their fantastic wildlife by creating so many protected National Parks, and this charming couple had been delighted to see animals in and on the Zambezi as they sailed the sunset cruise the night they arrived in Livingstone. They made special mention of Winston, game guide on the Lady Livingstone, for his great knowledge and good public relations. They were happy with the service from their Livingstone taxi drivers too! And, the sunset over the Zambezi had been dramatic! Music wise Wendy said she preferred movie themes and Celine Dion, David – Willy Nelson and the Stones. Sports wise they were interested in Volleyball as both their daughters were players, as well, of course, as ice hockey! How had they come to choose Chanters Lodge? One of their daughters and some friends had stayed there some years back, so it was a natural choice, also recommended by their travel agent. Asked where they would like to be and what they would like to be doing ten years from now, David said he hoped still to be living in Winnipeg as their home base but travelling frequently, as well as cheering Winnipeg Jets to a Stanley Cup victory (ice hockey for the uninitiated). Wendy said she would love to have grandchildren, as well as still travelling with David. We wished them the best of luck and thanked them for appearing on our show. If you missed the show and would like to listen, here’s the link to the podcast. Young Riko (aka Riddick Riko) is the name of a rapper signed to Brathahood Music Label, and also a member of the internationally recognized group ‘BrathaHood Crew’ – made up of great musicians, namely BrathaHood CEO General Ozzy, Manas, Mandela, & Roberto (also Riko’s manager/ producer). Young Riko has quickly become a sensation on radio and TV in Zambia and often the topic of discussion and conversation in saloons and barbershops popular amongst teenage girls! The Lusaka based rapper is determined to make history and hopes one day to win a BEFFTA and Channel O award as well as maybe one day a Grammy. “Anything is possible!” He says. Riko has gone from performing at the 2011 Born’N’Bred video awards ceremony to having a video on Channel O. You might remember him on Roberto’s song ‘Osanisiya So’ which has a great video. I must add that he also boasts of his own video to his smash hit ‘Akoyesa Boi’ which premiered on Channel O Africa on 30th August 2012 on a show called ‘O Premiere’. and ‘So Good’ which also features award winning Hip Hop video of the year Mr Veezy aka LV on the same song. Riko is set to make Zambia the home of Southern African Hip Hop, his music is playing around Southern Africa in countries like Namibia, South Africa, Botswana, Malawi etc. Young Riko’s two new songs titled ‘Ma_Pange_Ya_Kwa_Lesa’ and ‘Alipanda’ featuring Stan have continued to received great praise. Heartspring Pulls At The Heartstrings On ‘The Experience’! Heartspring is a Christian orphanage located in Livingstone, Zambia and is presently the home for 28 orphan boys and 32 girls. It is overseen by a Board of Directors composed of 8 Christian men and women from Livingstone. Jacob Sianungu is the Chairman of the Board. JL Brazell (pictured above with Janice Soudbash) originally met Jacob in Swaziland when they were both involved in a mission there and together started Heartspring. We were delighted to welcome JL (for the second time) and Janice as Guests on the latest edition of the Chanters Lodge Experience with the Milli Jam Ingredient featuring George da Soulchild. ‘The Experience’ is our regular Sunday night radio show on Zambezi 107.7 fm, Livingstone’s leading local radio station airing from 20.30-21.30 hrs CAT, and streaming live on the internet. (In this regard we were delighted to get a message during the show from Esmail Jasat in London who was listening to the stream). Janice and JL told listeners that they were tired from dancing with the children at the Orphanage almost the whole of that day but that they had loved the interaction. They were delighted with the way the orphanage was growing and developing and they felt that the future was bright for the children in care. They emphasised that none of the children would be ‘thrown out’ of the orphanage at a certain age unless they had a secure future. Janice and JL were part of a group of six sponsors of the orphanage staying at Chanters Lodge, and in Zambia to check on the progress of the institution. JL, fund raiser supreme, told listeners that the best way to get people to help sponsor the project was to bring them over to show them the work being done. Janice lives in Albuquerque, New Mexico while JL lives in Kansas to be close to his grandchildren. We learned that both JL and Janice have been married to their respective partners for more than 50 years! We opened the show with Zambia’s latest smash hit track ‘Sinjonjo’ by Zonefam which surely had the Chanters Girls dancing back at the lodge – and the children in the orphanage too if they were listening! Sinjonjo was played back to back with Charlie Brown’s ‘On My Way’. George featured tracks by Zambia’s JK and Salma. Milli Jam favoured Davido and Taylor Swift. George’s choice of Elton John’s ‘Sorry Seems To Be The Hardest Word’ as oldie of the week had everyone fooled and no-one won the prize we give each week to the first person to text us telling us who is the performing artist on the track! We won! JL and Janice told listeners that they and their group had spent some days in Kruger NP in South Africa before coming to Zambia on this trip and had managed to see ‘The Big Five’. They had also visited Swaziland. It was Janice’s first visit to Zambia and she had been suitably impressed by Victoria Falls. She told listeners that she had a daughter living in Burkino Fasso whom she hoped to visit next year. Her son-in-law was involved with Living Water International in that country. Asked where they would like to be and what they would like to be ten years’ from now, JL said he would like to be driving his own car with grand-children in the back screaming and yelling, Janice that she hoped still to be in good health and travelling. We thanked them for their work with Heartspring and for giving up their time to appear on our show. George da Soulchild Kaufela, co-presenter of our highly successful weekly Sunday night radio show on Zambezi 107.7 fm forwarded this piece for the blog. Thanks George! It’s been a great year for the Zambian music industry! More artists have come on board and more have become household names. Some artists have simply maintained their status while others have lost out and their names and music are slowly fading “back into black”. Here’s a look at selected months, artists and events from 2012. Zambia’s Mampi (above) became the first celebrity to be evicted from the Big Brother Africa 2012 house. The 25-year-old singer said a lot of pretense was required for one to win the US$300,000 reality show. “I feel the same, I’m happy that I went in at the time I went in and came out at the time I came out. Being there, I saw what is required, you actually have to pretend. If you don’t pretend, you can’t win. I knew I was not going to win because I am not the type that pretends,” Mampi said. Mampi did however manage to mesmerize Big Brother Star Games viewers with her signature dance moves. Meanwhile Africa Magic has announced Big Brother Season 8 details will be out in mid-January 2013. Petersen took a shot at politicians and released his highly anticipated controversial album JOB 13:13. The most controversial song on the album “Makwabo Mu Church” translates as ‘Business Conducted in the House Of God’ and it brought about plenty of talking points! Petersen explained that he did not understand why so many churches conduct business in the house of God. To him, if a church announcement says ‘brother Chilembo is selling his car for a negotiable price’ or ‘Sister Betty will be hosting a fundraising braii at church’, that is trading in the house of God and that is why he is exhorting the return of Jesus Christ to whip these offenders! Emeli Sande born from Zambian father (Joel Sande) and English Mother (Diane Sande) won the 2012 UKZAMBIANS Excellence Awards Female Vocalist/Songwriter of the Year Award. Adele Emeli Sandé (born 10 March 1988: Alford, Aberdeenshire, Scotland) known by her stage name Emeli Sandé, is a soul and R&B recording artist and songwriter. A former medical student, Sandé has achieved two top 10 singles in the UK. Her debut album, Our Version Of Events, is nailed on for No1 in the UK and critics across the board have voted her the voice of 2012. Emeli Sandé has written hits for some of the biggest names in the music business, including Cheryl Cole, Tinie Tempah and Susan Boyle. Her album ‘Our Version Of Events’, ended the year top of the UK album Charts. We long to see her at home in Zambia! Zambian rap artist Ruff Kid becomes the second artist from Zambia to be awarded the prestigious BEFFTA Award. Ruff Kid was nominated under the category for Best international Act at this year’s BEFFTA awards. Other nominees in the same category included Camp Mula, D’Banj, Cover Drive, Grace Galaxy and Zahara. ZNBC director general Chibamba Kanyama apologized for the institution’s latest failure to meet viewer expectations during the 2012 Born n Bred Music Video Awards ceremony held at Lusaka’s Government Complex and promised to do better in the future. While Macky2 won three out of the five categories in which he was nominated. B1’s ‘Sikiliti’ won radio’s most popular song of the year. Slap Dee’s ‘Kuichayila’ voted song on the year for the year 2012 by listeners on five different radio station including Zambezi FM Radio. The Lusaka based rapper who is leader of one of the most popular hip-hop Groups ‘XYZ’ recently ended his beef with a certain named Copperbelt rapper. At some point last year he (Slap Dee) lost his grip on the local scene as the Copperbelt rapper made more headlines and received more airplay than he did. 2013 will, without a doubt, be a very competitive year on the local music scene as most artists ,music producers, music video editors/producers seek international recognition.